Size For : (30-32 Waist | M Size), (32-34 Waist | L Size), (34-36 Waist | XL Size), (36-38 Waist | XXL Size). TRACK PANTS FOR MEN: No matter what your purpose is the gym, yoga, exercise, walk, jogging, Zumba or you want to step out for a coffee or dinner with friends. These stylish track pants will help you flaunt your sporty style wherever you go. 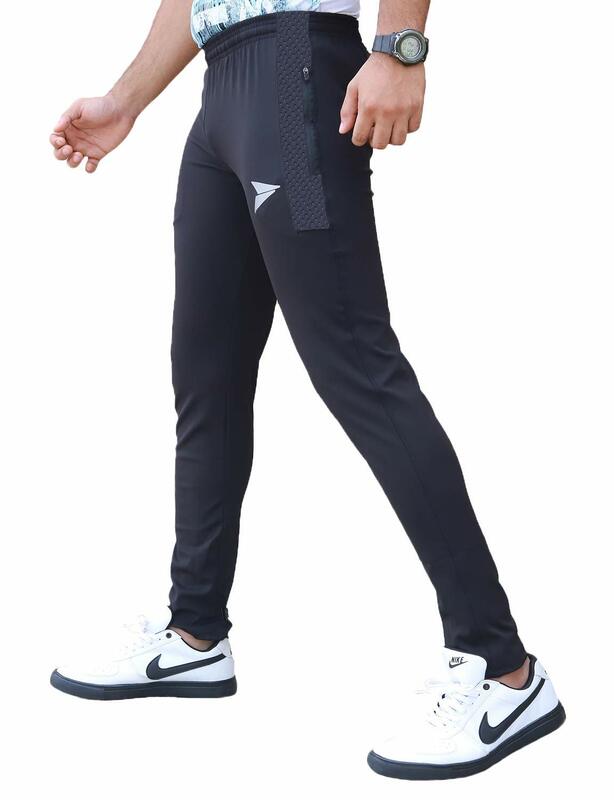 100% LYCRA SPORTSWEAR PANTS: This gym wear pant is made of lycra which makes it stretchable and you look stylish even when you are stretching your body hard. 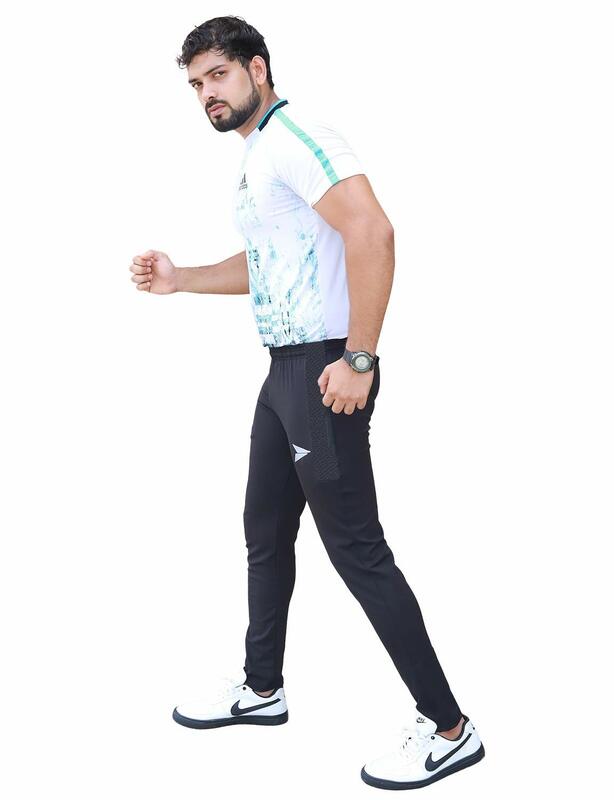 SLIM FIT STYLISH TRACK PANTS: This trendy casual tracks for men is designed with white design on both the side pockets which makes you look stylish even when you are stretching your body hard. 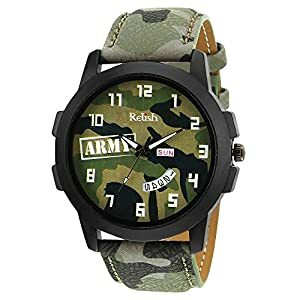 Size For : (30-32 Waist | M Size), (32-34 Waist | L Size), (34-36 Waist | XL Size), (36-38 Waist | XXL Size). 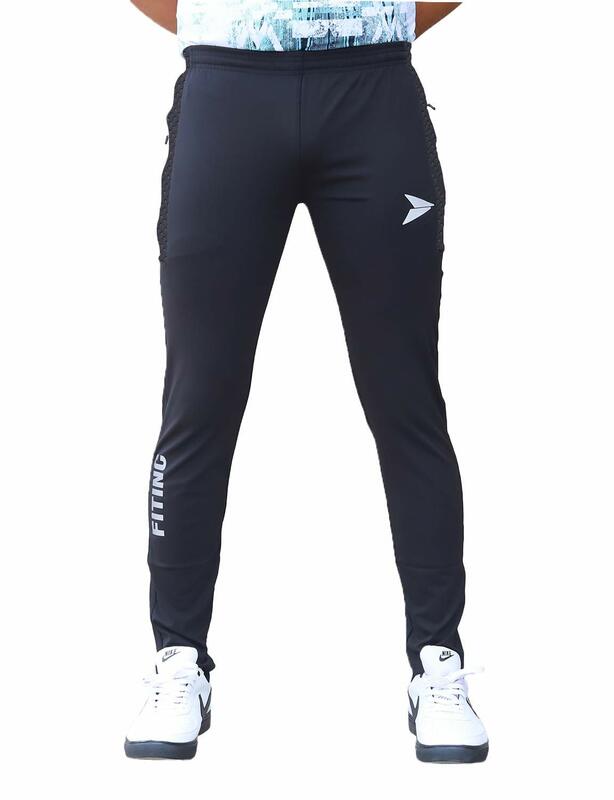 Fitinc Sweat Pants for Men – For Optimum Comfort throughout the Day Ensure comfort all day long and enjoy a healthy lifestyle with this comfortable workout track pant for men which offer greater flexibility with your every move. Team up this casual track pant in color name with any of your favourite t-shirts and create a fashionably sporty look. 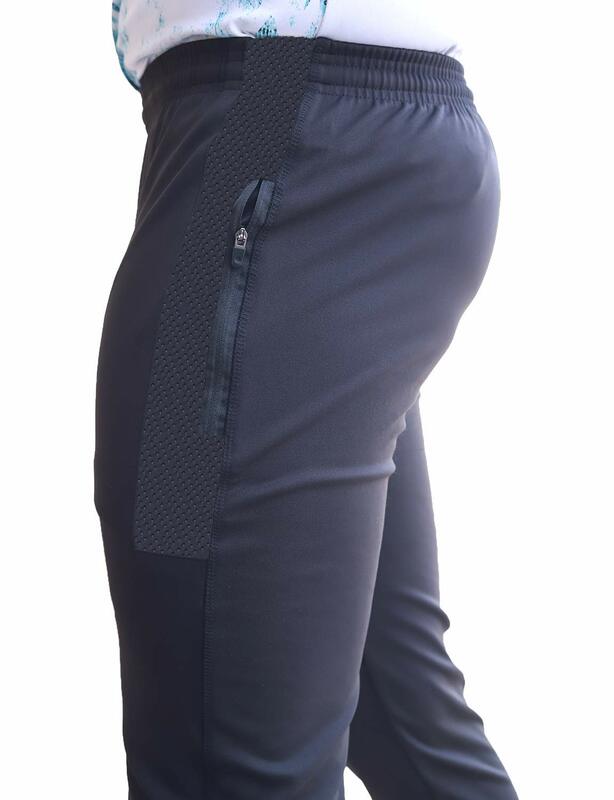 Made of 100% lycra, this comfortable lower is absorbent which provides you optimum comfort and keep you dry even when you are performing exercises on a hot sunny day or running on the road. 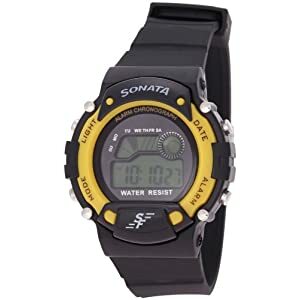 Its stretchable fabric gives an ease of movement even when you are performing the complex exercise. 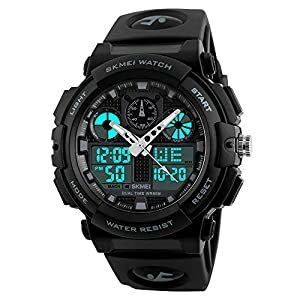 Solving both casual and sports need of the people, this lower is durable and is perfect for running, jogging, gym and yoga and stretches according to your body moments. With beautifully designed two side pockets, this workout lower gives you a fashionable look and keep all your items safe inside. No need to worry about cleaning as these pants can be hand and machine washed with a mild detergent or soap. Note: If you usually wear smaller size lower then order medium size of these pants and if you wear medium size then orders large size for yourself. As these pants are slim fit it is important for you to order one bigger then what you usually wear for more comfort. 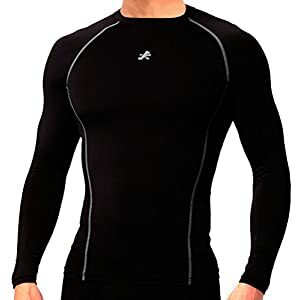 LYCRA LOWER FOR MEN WITH TWO SIDE POCKETS: This lycra dryfit pant comes with two zipper side pockets which keep all your essential items safe while you are on-the-go or performing various exercises at the gym. HIGH-QUALITY TRACK PANTS WITH LOGO: Be it regular workouts at the gym or you want to step out for a coffee or dinner with friends in sporty style. 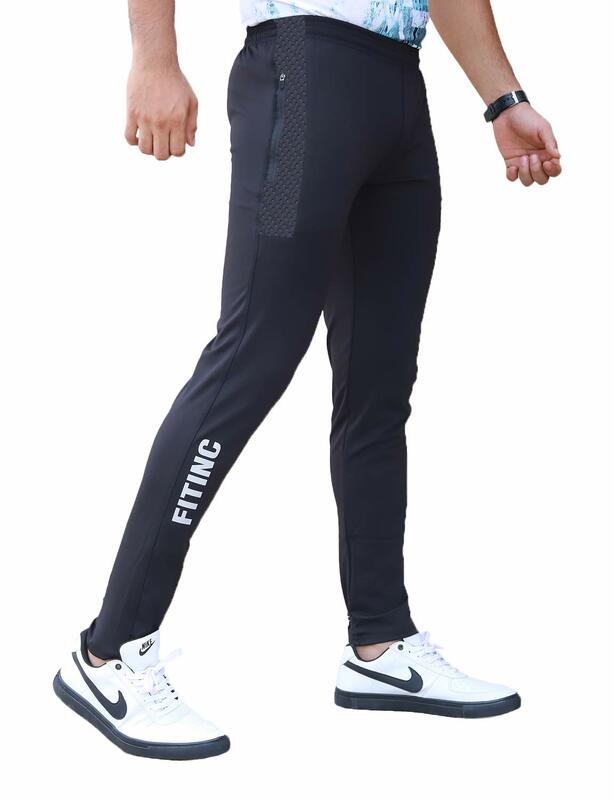 These track pants for men with fitinc logo will help you flaunt your unique style wherever you go. Size For : (30-32 Waist | M Size), (32-34 Waist | L Size), (34-36 Waist | XL Size), (36-38 Waist | XXL Size).